You don't need to have local knowledge to truly experience Beach, but you should know a few essential facts before you jet off. It sits in Western North Dakota, and just 13 miles (21 kilometers) away from Sentinel Butte. Traveling is all about meeting people, so why not make friends with some of the 1,000 locals who reside in this area of Western North Dakota? Fabulous savings are right at your fingertips if you purchase your accommodation and flight package via Travelocity. And don't forget — you can select from upwards of 400 airlines and 665,000 properties. Our Customer 1st Guarantee gives you the added security of 24/7 personal assistance on everything from accommodations and airfares to car rentals and activities. Have you seen an even better bargain? We'll meet the price and reimburse the difference^. You're able to reschedule any of your getaway bookings with no hidden charges from us. You know what that means, right? Less for you to worry about. And as long as you get in quick, many accommodations won't charge a fee either^. Where do you fly into for Beach? Bags all packed? Fantastic — jump on the flight to Dawson Community Airport (GDV). Once you land, you'll be only 45 miles (72 kilometers) from the middle of Beach. Can I rent a car in Beach? Whether you're visiting Beach by yourself or with a bunch of friends, it's always more convenient to have a ride. Travelocity provides a variety of rental options, so select one and start creating your road trip playlist right away! Sourcing all your travel tips online is a breeze, but don't be surprised if that "secret waterfall" isn't as idyllic as you'd been led to believe. For the best things to do in Beach, not much beats talking to the locals. Glendive is adored by adventurers. It can be found 40 miles (64 kilometers) from Beach, and you won't have to look far to find things to do. If you want to spend a whole day in this area, stop by the Cottonwood Country Club in the morning. Then make your way to Hollecker Park and Makoshika State Park. If this isn't your style, try Sidney. 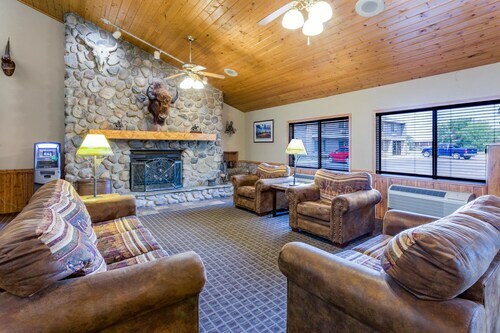 Just 45 miles (72 kilometers) away, this destination is home to more noteworthy attractions like the MonDak Heritage Center, Central Park and the Sidney Country Club. Spend the day here to get around to all of them. Situated in the historical district, this hotel is within a 15-minute walk of Billings County Court House Museum and Theodore Roosevelt National Park. Harold Schafer Heritage Center and Old Town Hall Theater are also within 10 minutes. 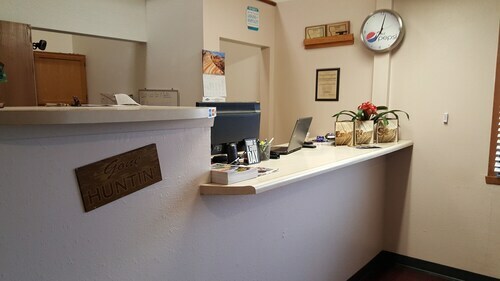 Situated in Wibaux, this hotel is within 32 mi (52 km) of Glendive Dinosaur and Fossil Museum, Frontier Gateway Museum, and Dawson County Fairgrounds. Glendive Public Library and Hollecker Park are also within 32 mi (52 km).